Well, this is about as subtle as a hammer to the head. Google has announced a new service called Google Message Continuity that aims to make a complete backup of your Microsoft Exchange Server (MES) accounts, a popular tool for corporations to use for e-mail. Apparently the tool will create a duplicate of your MES account and deposit it into a Google Apps account. Due to a constant sync between the two services, the idea is that if your Microsoft server ever goes down for any reason, whether it be maintenance or an error, you could login to the Google account to continue your work without missing a beat. Besides making sure you have all of your e-mails, the service will also deposit all of your contacts and calendar entries into the Apps account so that you will be able to get to all of your most important info at all times. 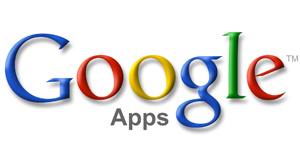 Google Message Continuity can also help organizations transition to Google Apps down the road. Since Microsoft® Exchange and Gmail are always in sync with one another, there’s no need to migrate email data when eventually deploying Google Apps. With Gmail, Calendar and Contacts available, users can get familiar with these cloud services without having to abruptly stop using their regular email system. You can’t blame them for trying to get more customers, but couldn’t they have been a little less blatant about it? Overall I still think this is a great idea as my friends who work in IT departments for companies constantly complain about issues with MES. A backup only makes sense for large corporations who could be losing money every minute their e-mail is down. However, considering the numerous questions that are out there about the security of Google Apps as a corporate e-mail replacement, it seems doubtful that companies are going to be switching to Apps in droves. What say you? Do you like the idea of a Google-based backup for your corporate e-mail?